PhotoFile magazines are published intermittently to tell stories of my travels and photography projects. The 8.5" x 11" magazines vary in length depending on the location and subject matter and are generally 12 to 36 pages in length. Beautifully printed copies are available at www.magcloud for a nominal cost. 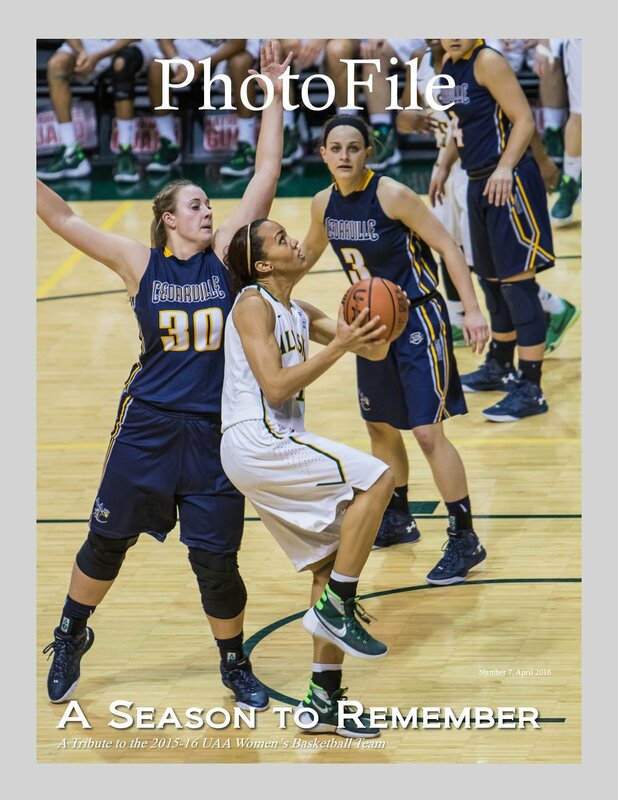 A PDF version is also available for viewing here by clicking the PDF VERSION button next to each cover picture. Bears, bears, and more bears are featured in this adventurous, remote, fly-in camp tent located in Alaska's Lake Clark National Park on the west side of Cook Inlet. Wheel planes land visitors on the beach at low tide where visitors are housed in a tent camp and fed for two to three days. Guided bear viewing is provided by short walks from camp. Redpoll Rally celebrates the appearance of a large flock of Redpolls that showed up in mid-winter in our Anchorage neighborhood for several weeks. Our feeders just outside our windows provided a unique opportunity to observe and photograph these beautiful little balls of puffy feathers with their red highlights. I was inspired to learn more about these handsome little birds and some of my findings are documented in the magazine.. Looking for information about travel and photo opportunities in Cuba? This magazine includes Cuban history, information about travel to Cuba, and many photos of Havana, its people, and culture from a week long stay in Havana in February 2015. Travel was arranged under a People to People Educational exchange for participation in a street photography workshop conducted by former photojournalist, Peter Turnley. 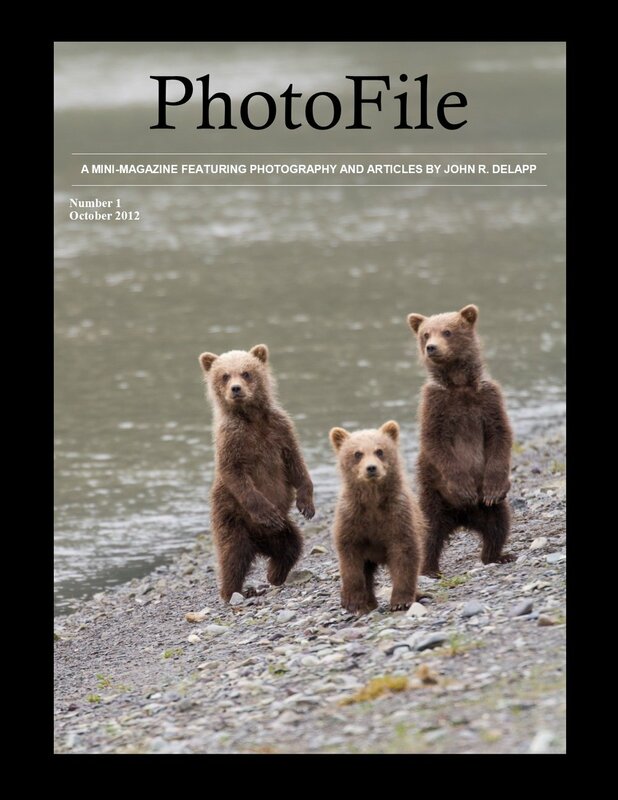 This issue of PhotoFile is devoted to a fly-in trip to a remote portion of Katmai National Park located on Alaska’s mountainous coast across Shelikof Straight from Kodiak Island. Coastal Outfitters’ boat, a 72-foot vessel named “Breezers”, was anchored at Hallo Bay ready for visitors arriving via float planes from Kodiak. Breezers was the visitors' “bear boat” wilderness home for the next several days. Included here is an account of this wilderness adventure along with many amazing images made during this trip in July of 2015. The 2015-16 University of Alaska-Anchorage (UAA) women's basketball team is featured in this PhotoFile. Mayhem characterized the smothering defense that carried the team to a 38-3 season and a trip to the NCAA D-II National Championship game. This issue is a tribute to this special team that ended up in second place among more than 300 D-II teams in the country. St. Paul Island is one of the Pribilof Islands located in the middle of the Bering Sea 330 miles off Alaska's southwest coast. This island is known for its fur seal population, world class birding, and its notoriously foggy and wind-swept environment. This twenty-four page magazine provides a short history of the island and community along with many images of this unique and interesting island.